So… maybe my French is still terrible. Either way, last night I got the invite to the Cirque du Soleil “soft opening party” for Toruk – The First Flight. Or rather, the invite came a few days ago; the actual party was last night. 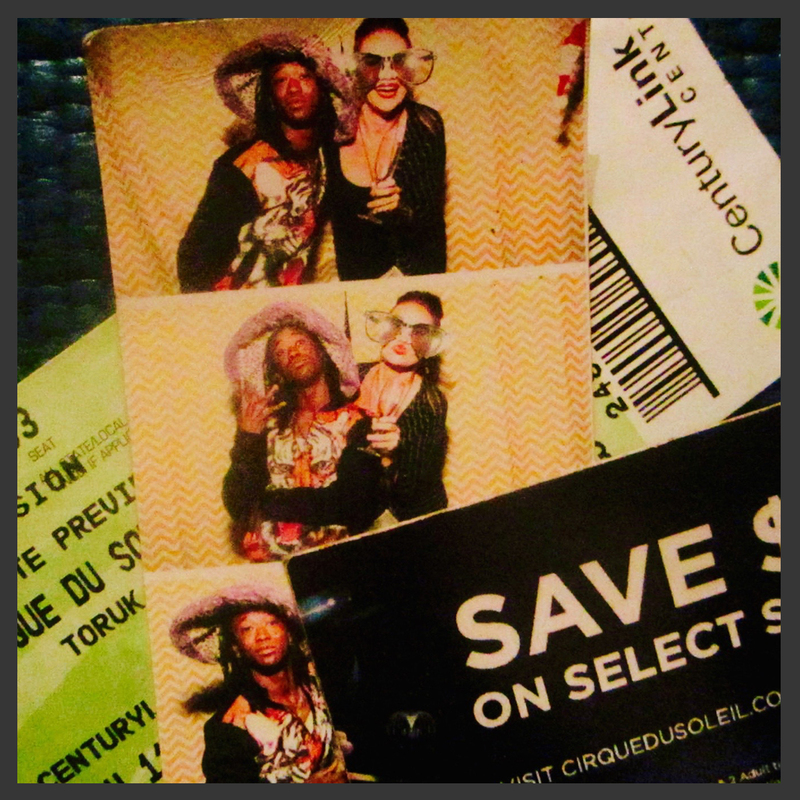 If you’ve never partied with professional acrobats from all over the world, put it on your bucket list. Immediately. Unfortunately for me, I got there before anyone I knew got there. So, naturally, I started drinking champagne, eating snacks, chatting with the catering / bar staff in the corner, feeling slightly awkward. One catering lady told me that the third “party bus” was still on its way. Um, yes. I like that they actually call it a party bus. This hanging out by myself, trying to play it cool act went on for a bit longer than I would have liked, but then, as promised, the third party bus arrived and my acrobat friend, along with his acrobat friends who I had met the day before, came pouring in, ready to get things started. All I really want to say about this evening, is that it was a great party. It was low-key, nothing over the top, but free food and drinks plus a silly photo booth with costumey stuff (that slowly made its way on to the dance floor) made for a fun night. But really, I think it was the humans that made for an exceptional time. There was an early evening photo-booth wedding proposal, someone who got in trouble from the event staff for dancing with a caution cone on his head, a lot of great break dancing (they are acrobats after all), and basically just great dancing all around. I was introduced to a ton of new, super-talented people from all over the world. And every one of them was kind and interesting and not at all ego-y like you might expect from people as skilled / successful as they are. Plus, I just absolutely love that everyone speaks so many different languages and people were dressed so eccentrically. I think as humans, we typically live in our own little bubbles where people act and dress and speak like us. I think one of the reasons I love to travel so much is to meet fantastic humans who are so different than what I’m used to, different from me. But the same. Because when the DJ throws some Michael Jackson on, no matter where you’re from or what languages you speak, you drop everything and do your best MJ. The moonwalk is universal.